Best features, and performance but it should be attached with Camera Flash, or 5 megapixel camera and longer live its battery. HTC is the No.1 brand by interest, since it launch. Now this Touch Diamond is gonna rock everything. Can't wait to have it. 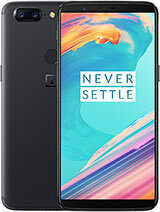 From the features this phone seems very good i think, it has all the qualities to be a good phone. But the price????? Anyone nows something about it??? This phone cannot be slow as it has 192 MB DDR Ram..
Those were the days where we used to have 64 mb ram in our PCs, now in mobile its 192 MB Ram..so it might b quick enough, n wont hang as tokia(Opps nokia) does..
at least my nokia n95 not very slow as htc touch..
this going to crack easily,so i am not going to crack my money on this..and is this slow too????? Huge errors - make this phone unusable before it even got on the market. Can a company be so....? I think not. They think we take anything which resembles a goofd product but it has major fouls. They spoon feed us with technology and purposely leaving out essential features (like memory card slot) forcing regular update. It would be nice to make a stand once and say no to these poorly designed,outdated products. i hope there is a quad band on this handset. no flash but... is greate ! but how much cost ??? This phone looks crackin. Lets hope it's a step up for htc. theres nothing new in this device... 3.2 camera, a-gps, screen resolution, pea sized battery, screen color depth, OS, accelerotmeter........nothing is new except for a layer of customized navigation pasted above the windows for eaisier useage...which ultimately increases overheads for processor and ram......unlike in i-phone in which all this touch navigation is OS based....well smart try by htc but nothing new and nothing impressive......hard luck!!! This looks very good. Pity about the battery. I think we need to know more about the spec. I mean does it have an organiser, if so carrying what features. Why only 3.2 mps camera, when the going rate is 5? Samsung need something good to exceed this. the i900 has promise but the UI needs to be pretty special.